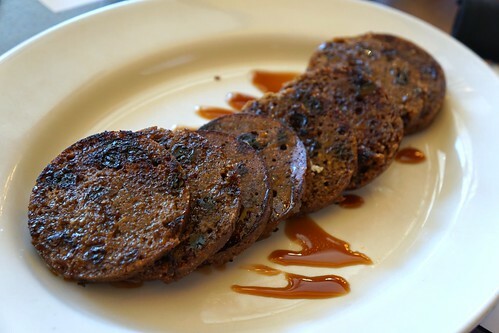 I don't go to Jamaica Plain much, but I should, as JP actually has some great places to eat. Bella Luna and The Milky Way is one of those places. 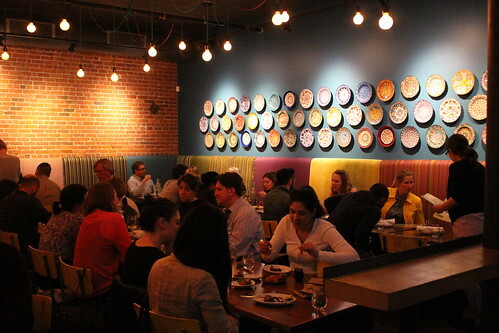 It's a neighborhood restaurant that's popular with a diverse set of locals. 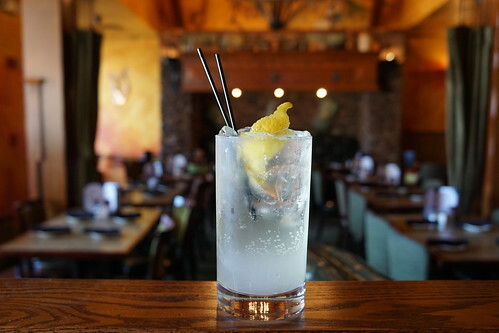 It serves great food and solid drinks, it has live music, and its connection to the community is apparent. 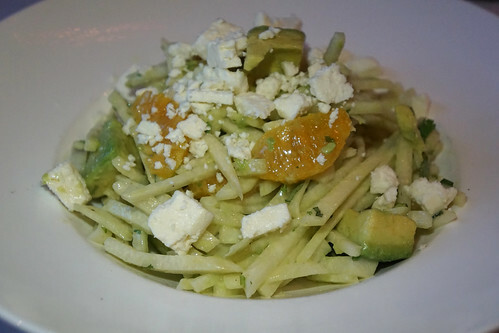 For starters, I know this jicama salad with avocado doesn't look like much, but I really loved this seasonal item and hope they bring it back! It was very refreshing. 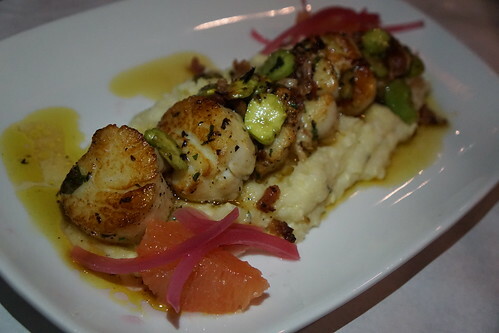 The seared scallops with grapefruit were also very nicely cooked, honestly better than what I had expecting from a casual neighborhood restaurant! 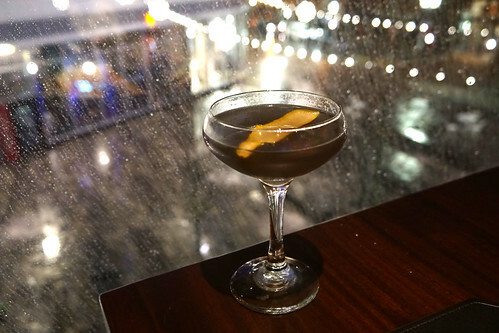 Earlier this spring, Rebel's Guild opened in the Revere Hotel with an American revolution theme to the decor. 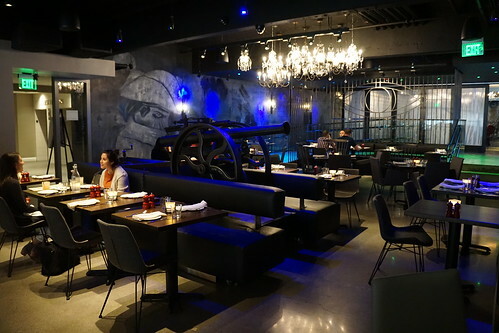 There's the cannon in the center of the dining room and Paul Revere and history-themed murals. There's a burger and bar joint in Brookline that went under my radar because of the rather generic name, Best Burger Bar. 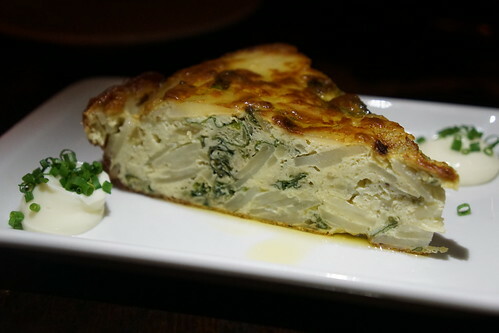 However, I was invited to try the place not too long ago and was quite pleasantly surprised! 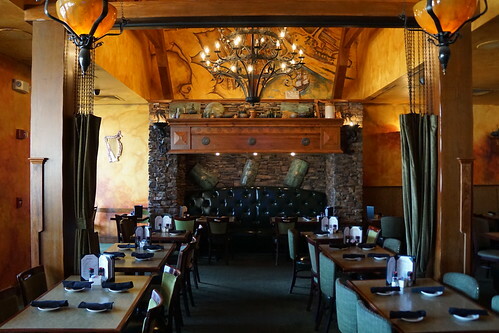 The restaurant opened last summer in 2017. 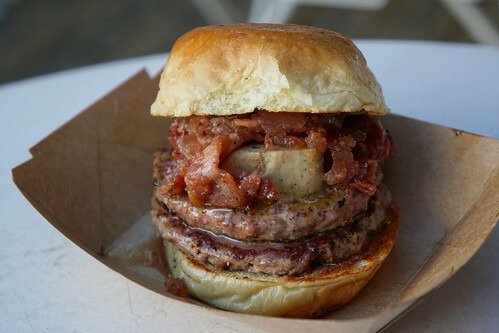 Best Burger Bar specializes in dry aged burgers, which gives it that extra umami flavor, and they only use certified Angus beef. They also have an outdoor dining area / porch that's open throughout the summer. 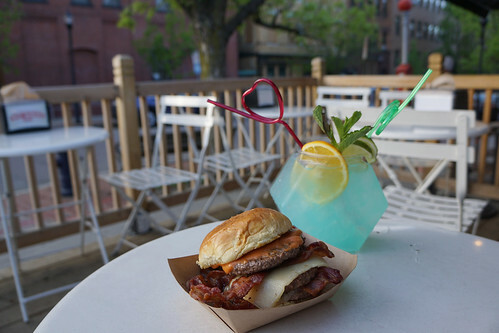 Get some burgers paired with a Margarita Fishbowl for two ($29.50). The fish bowl has tequila, lime, blue curacao, orange curacao, and sesame syrup. Their burgers start with a classic for $5.99 and go up from there depending on the ingredients. For the quality of meat they use, this is a good bang for your buck in Boston. Seaport has gotten a lot of new restaurants lately, including 75 On Courthouse Square by Thomas Kershaw, the restaurateur behind Cheers! There are a few restaurants in the 75 franchise. 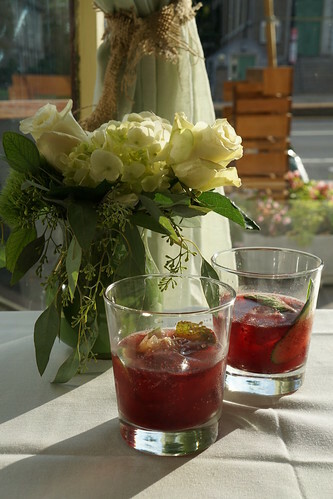 The latest Seaport is quite spacious, with plenty of space for private events. There's a good wine menu and a solid drink list. The restaurant sits in the same building as King's and the ShowPlace ICON movie theatre and overlooks the Courthouse Square (it was unfortunately raining when I was there). 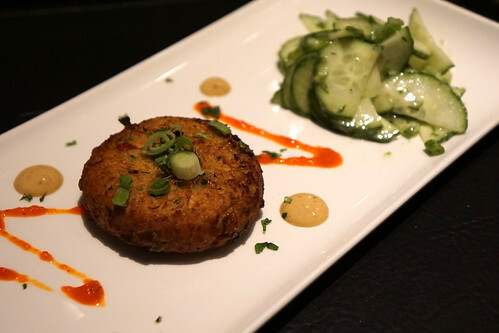 I started with crab cake, served with marinated cucumbers. 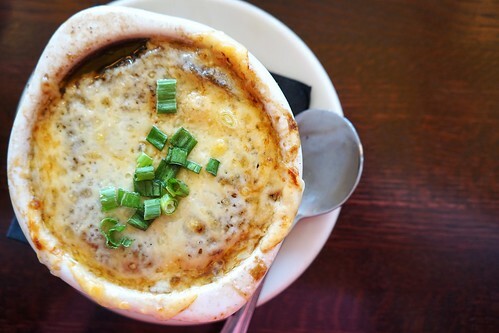 It was filled with quite a bit of crab and little filling, just the way I liked it. 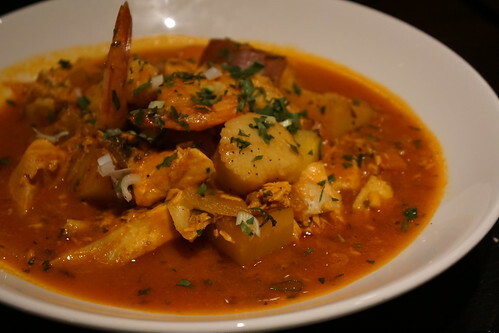 If you want a New England seafood dish, get the Nantucket Seafood Stew with scallops, shrimp, and fish. 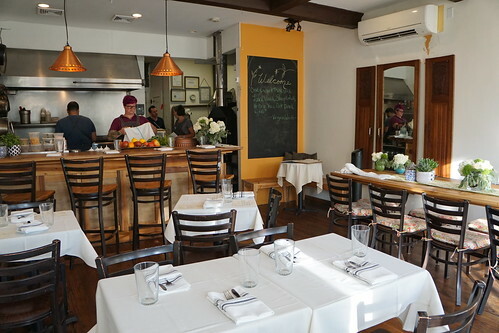 Bistro du Midi is an old-school French restaurant in Boston's Back Bay and about once a month they hold a special wine dinner for a small group in their private room, curated by head sommelier Ray Osborne. 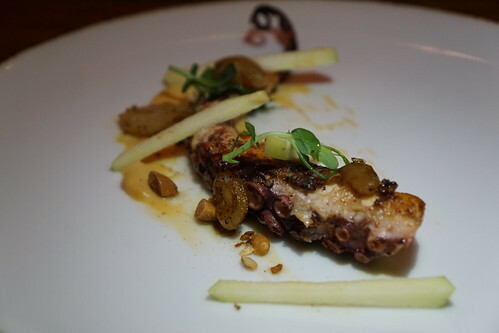 I attended their last wine dinner on November 29, which was a U.S. vs France Pinot Noir dinner. Ray explained each wine and pairing, as well as other tidbits about wines and pinot noirs. He told us that dark, less opaque colored wine is the mark of cooler climate wines. This was paired with a 2014 WillaKenzie "Giselle" from Willamette Valley, Oregon. 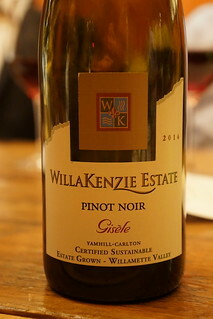 WillaKenzie Estate is a big name in Willamette Valley, started by Burgundian Bernard Lacroute. The name WillaKenzie refers to the soil, which is near Willamette River and MacKenzie River. 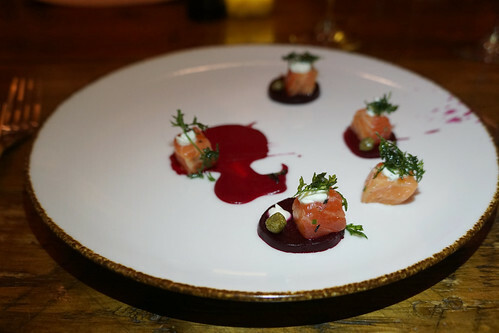 This was a great pairing, the wine tasted much smoother with the fatty salmon and sweet, earthy beet puree. Burgundy is particularly sensitive to vintages, and 2016 is a classic vintage. Louis Latour is an 11th generation winemaker since 18th century. Wines from Gevrey-Chambertin is known to be irony, earthy, mineral. 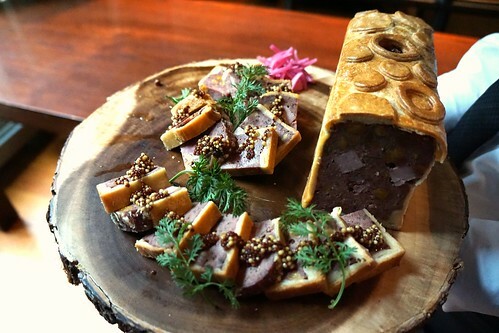 Farm to Post is the dinner series at Back Bay's Post 390 that showcases the local farmers and New England producers the restaurant works with. I attended a pork dinner last year featuring Dogpatch Farm and I had another opportunity to attend a special dinner recently. In September, Post 390 held a "Foraged and Wild" dinner featuring (you guessed it) foraged ingredients. Each Farm to Post dinner always starts with a cocktail reception with passed hors d'oeuvres. 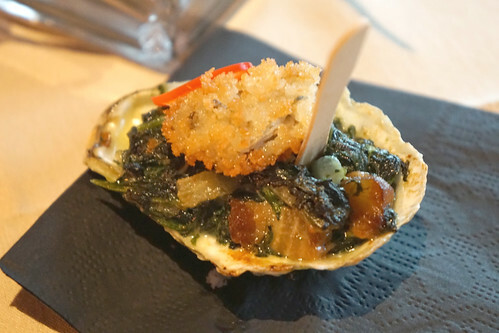 This year's most popular appetizer was probably the fried Damariscotta oyster (from Maine) with creamed wild spinach and bacon. Marsh greens, spiced black walnuts, blackberries, wild flower petals, Solomon's plume vinaigrette. This was paired with Oxbow Brewing Farmhouse Pale Ale from Newcastle, ME. The pastry for the vol-au-vent was perfectly flaky. 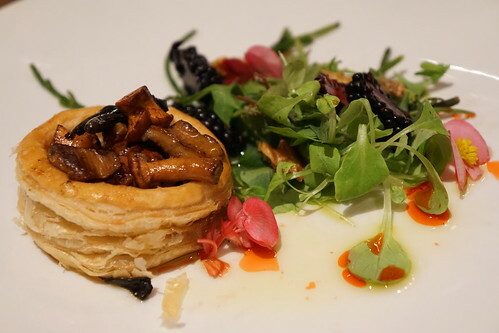 The mushrooms, and other foraged items in the dinner were foraged by Nicholas Deutmeyer. The mushrooms came from his secret spot (hence the name). We had black trumpet mushrooms, lobster mushrooms, and chanterelles. 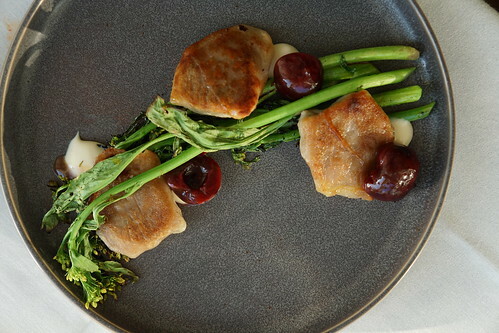 The greens also featured foraged sea beans and sea arugula. Perfect start to a foraging dinner! Whether you're a student or someone with a "real job", everyone loves saving money, right? 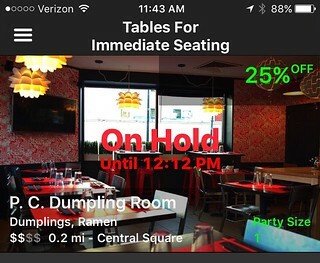 Well, Bostonians can now have more opportunities to save money while dining out with this new mobile app startup called GoPapaya. The idea of GoPapaya is like HotelTonight: they work with restaurants to fill tables during the restaurants' down time by offering discounts to customers, usually between 10-30%. On top of that, since they are new and promoting their app, you can sign up with my referral code "pigs10" and they will send you a $10 Amazon gift card after you complete your first reservation! 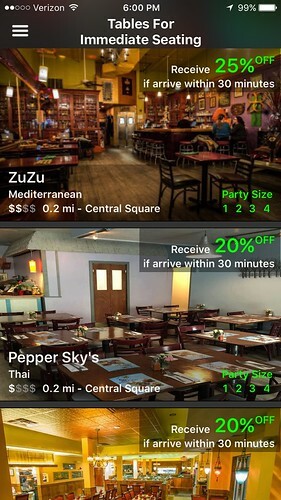 The restaurant will set a discount on the app in real time, and you'll have 30 minutes to arrive at the restaurant once you make your reservation. When you open the app, it will show you what discounts are available and for how much, sorted by the distance. Once you reserve the table, they will hold it for 30 minutes. During this hold and when you're checked in, you can't reserve another table unless you cancel the current one. 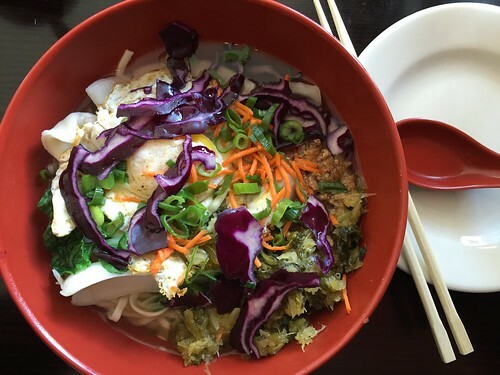 Here's when I made one for lunch at Patty Chen's Dumpling Room in Central Square. To use it, you'd turn on your bluetooth, and the app will automatically detect when you get to the restaurant and check you in. You don't need to purchase anything from the app so there's no upfront cost like Groupons. When I got to Patty Chen's Dumpling Room, I just told them I made a reservation with GoPapaya, and they knew what I was talking about. 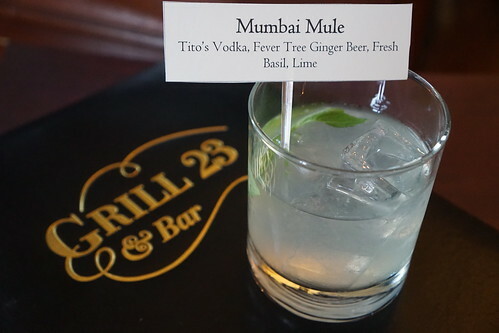 Grill 23 and Bar may be celebrating 30 years of being one of the best steakhouses in Boston, but don't forget about the "Bar" part of the restaurant! 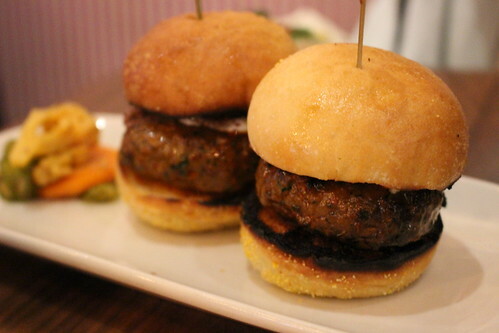 Grill 23's bar menu features some great cocktails and satisfying bites like these Foie gras slider on cider doughnut with jalapeno jelly. No, really. Seared foie gras on a donut! 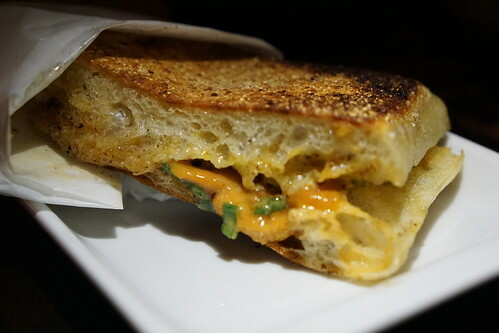 I went to the bar menu launch party there and I think I ate 3 of these babies, and still wanted more. 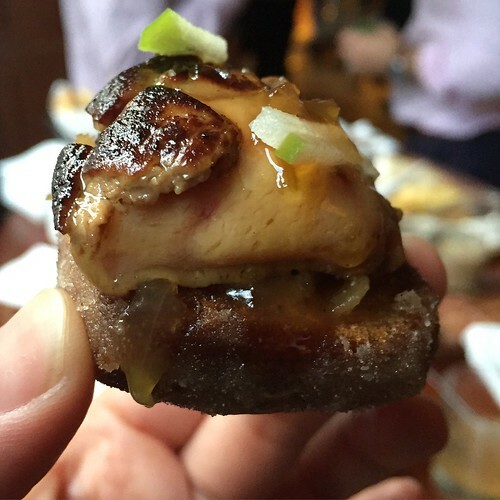 I would definitely come back for these - Foie gras lovers have to try them! 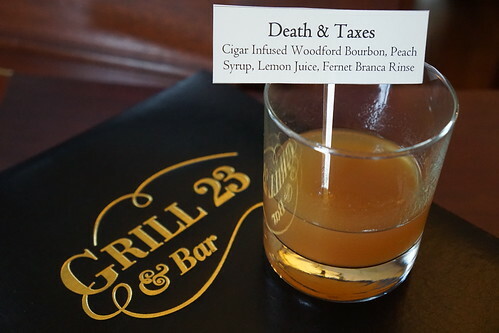 Grill 23 and Bar also has some nice cocktails - I love Death & Taxes in particular, with the smokiness of the cigar infused bourbon and the sweetness of the peach. 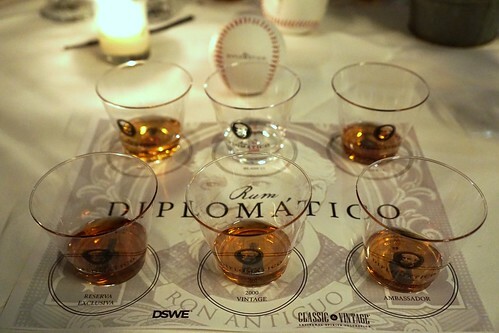 I recently had the opportunity to taste the line of Diplomatico Rums at a tasting and dinner held at Barcelona Wine Bar in Boston's South End with Diplomatico's master distiller, Maestro Gilberto Briceño. Diplomatico was founded in 1959 and adhere to the traditional Venezuelan way of making rum. 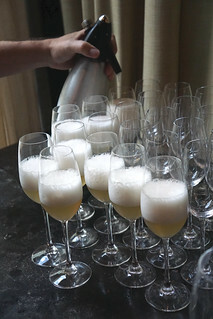 They have their own yeast strain for fermentation and use sugar cane molasses and honey from sugar cane for their rums. Diplomatico's distillation process differs from most Caribbean countries which use column distillation. Diplomatico uses column distillation for their light rum, copper pot (to get heavy alcohols), and batch kettle for medium alcohols. The copper pot tradition came about because Seagram's used to make whiskey in Venezuela. Anyway, the rums. 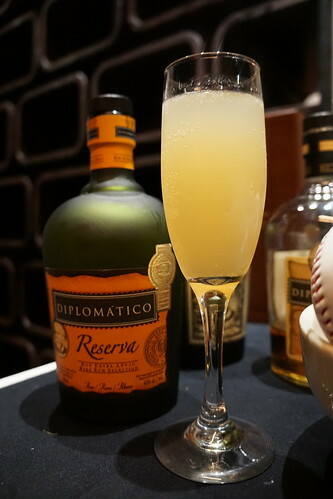 We tasted six different rums from Diplomatico. This is their youngest product, which is aged up to 4 years and a mix of light and heavy alcohols (which they get from the different distillation processes). 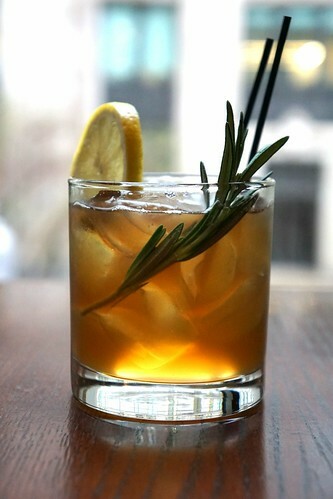 The rum itself has a hint of vanilla and with light sweetness. This rum is good for cocktails and a great value at about $15 a bottle! First started as a truck serving Chinese BBQ skewers in Chinatown, Wow BBQ has a brick and mortar location in Malden and has recently expanded with Wu Er in Brookline. 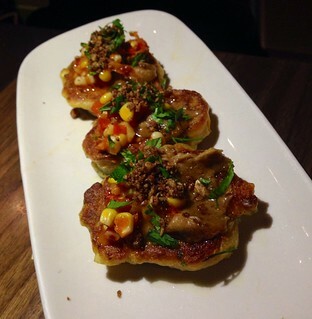 Unlike the truck, Wu Er serves a lot more than skewers. 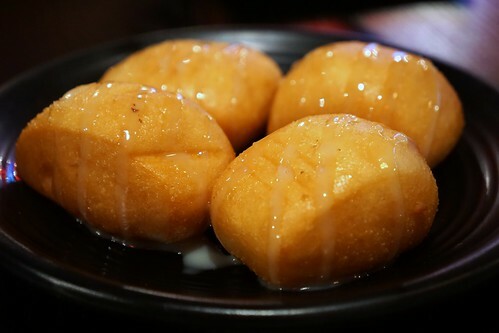 When they get seated, each table gets a plate of fried mantou drizzled with condensed milk. 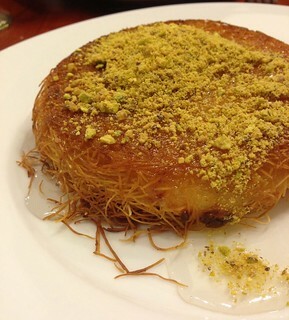 Dessert first? Sort of, and why not? Originally, Wow BBQ is all about the Chinese BBQ skewers, so of course, I had to get those here as well. 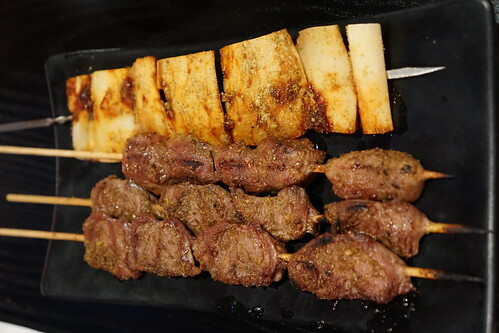 The lamb is definitely one thing to get, but they also have all kinds of other options - both meat and vegetarian skewers. 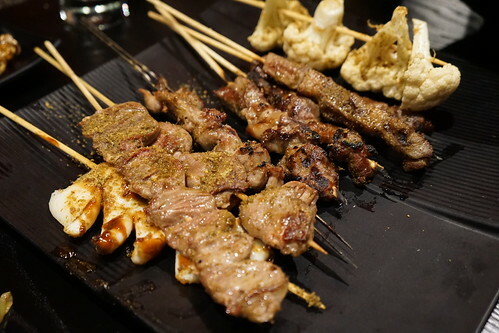 While these are not for everyone, some of my favorite skewers are the chicken hearts and the lamb kidneys! I also tried the beef neck tendon, but that was too chewy even for me. What I also particularly like about Wu Er is the cocktail program. 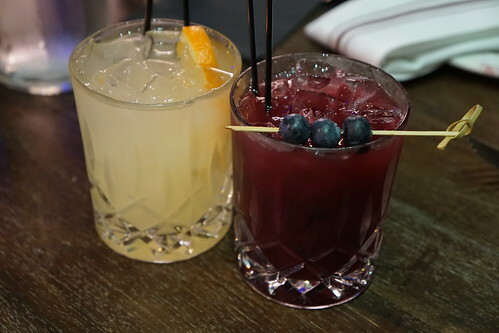 It's pretty uncommon to have great cocktails at a Chinese or Asian restaurant, in general (although I have to say this is not particularly true in Boston, with Sichuan Garden II and Shojo and all). 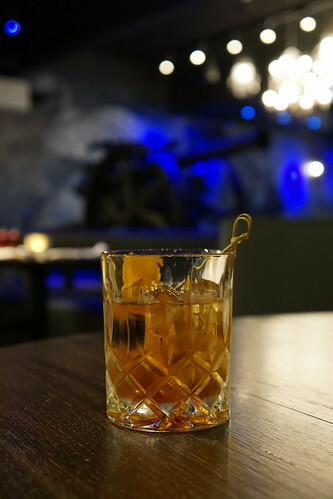 If you're ever curious about trying baiju, or cocktails made with baiju, Wu Er is a great place to try. 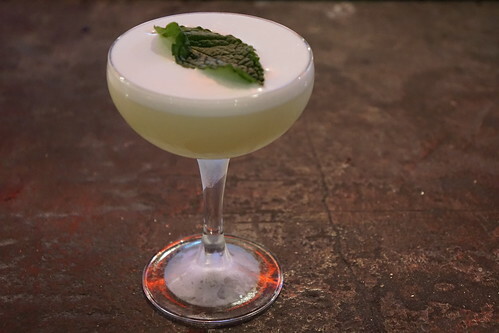 Moonlight over the Lotus Pond (Citadelle gin, lime, kaffir lime, jasmine tea, absinthe, egg white) - a nice sour with kaffir lime and jasmine, two of my favorite ingredients! 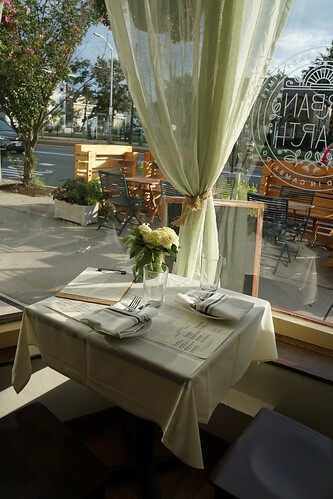 Post 390 in Boston is already known for their farm-to-table fare, but every couple of months, they take it a step further by holding a special dinner featuring one local producer, and bring them into the restaurant! I recently attended this Farm-to-Post dinner with hog farmer Sue Frank from Dogpatch Farm in Washington, ME. It took them 6 days to dry the pig skin to make the crackling! 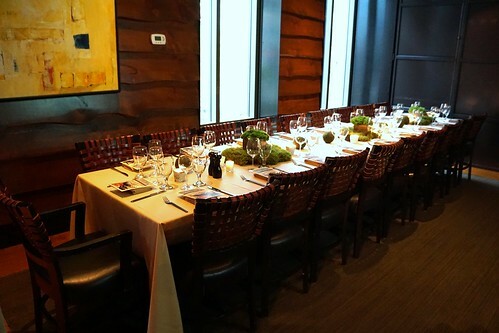 The Farm to Post dinner was held in their private dining area which was beautifully set. 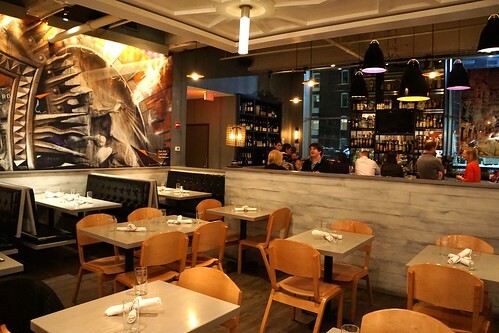 The airy Tavern Road in Fort Point is a hip eatery that merges the neighborhood's recent emergence and the creative community who's long occupied the area. DiBiccari has a lot of connections to the art community in Boston (his uncle was an artist), so the artwork displayed in his restaurant is also done by local artists. 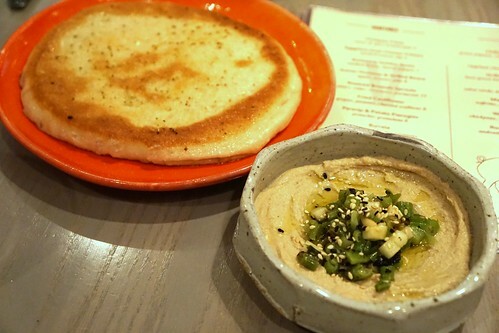 In fact, diners should start with this amazing sumac hummus, along with the warm, fluffy pita. It's unlike other hummus you've had. The sumac and apple adds a refreshing tartness, and I am always partial to the nutty sesame flavor. 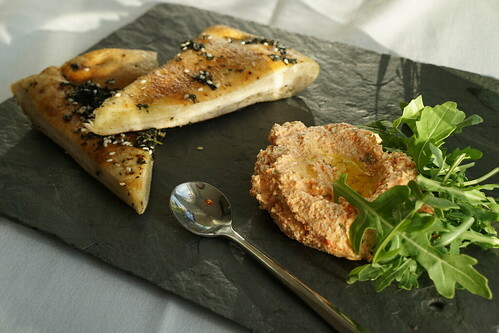 I could't stop munching on the pita and hummus! 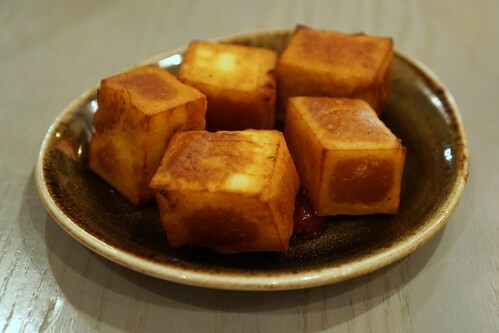 When I read the description, I was imagining falafels, but these cubes of ground chickpeas are surprisingly smooth and creamy morsels. 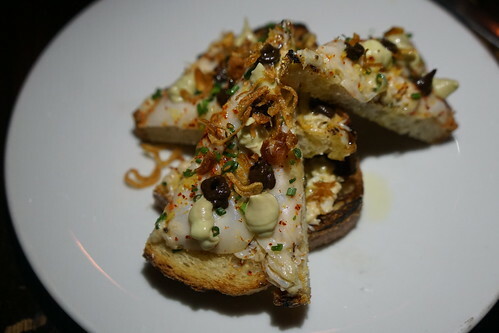 Shifting direction to a jar of light marinated crab. 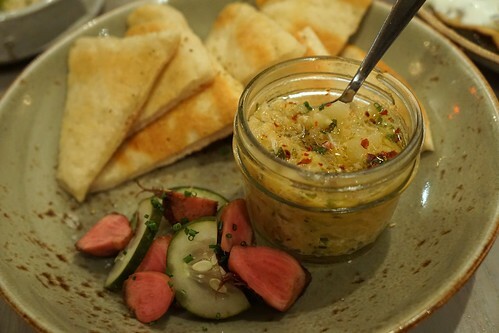 The fresh pita makes another appearance here and is a great vehicle for the cool, fresh lumps of crab meat.